Lale Sokolov is the kind of young man who in normal circumstances would have a bright future before him. But it's 1942, he is a Slovakian Jew, and the Germans have different plans. They want one child, 18 or over, from each Jewish family to work for the German government, and though Lale has an older brother, he volunteers to go thinking perhaps that it will be some menial task supporting the German war machine. Instead, he is shipped off in a cattle car to a place he never dreamed existed, the death factory that is Auschwitz-Birkenau. But he is lucky. Being multilingual he is assigned the task of tätowierer or tattooist, the person responsible for inking the identifying numbers on the arms of prisoners of various nationalities who arrive at the camp in a neverending stream. He doesn't like the job and some prisoners despise him for it, but it's better than the back-breaking, mind-numbing labor that others are forced to do. Still, the primitive tattooing method is painful, so how does someone with a heart inflict it on a little girl? A little boy? There is no choice while the Angel of Death, Joseph Mengele, hovers nearby, selecting new subjects for his experiments. The tattooist could be one of them if he is not careful. Yet it is here that he meets Gita. While tattooing her arm their eyes lock and in that instant the love of a lifetime is born. All that follows revolves around whether or not this relationship will succeed or fail. And for Lale failure is not an option. Intelligent, charming, tough, and resilient, Lale has all the mental and physical attributes that a survivor needs. He is somewhat like James Clavell's King Rat, who survives a Japanese POW camp during the same war by wheeling and dealing his way through it. But the Rat's main goal beyond surviving is profit, whereas Lale's is to help others. So he acquires gems clandestinely obtained from the personal belongings of gas chamber victims and trades them on the black market for some sausage here, some bread there, occasionally a chunk of chocolate and even medicine—all of which he distributes to those unable to obtain such prizes themselves. A good deal of his altruism is directed toward Gita. His obsession for her and for surviving feed off each other and never leave his thoughts. He worries about Gita constantly. Where is she? How is she? What is she doing? He seeks her out whenever possible and vows that they will one day marry. Their deep commitment to each other is what makes the camp simultaneously bearable and unbearable. 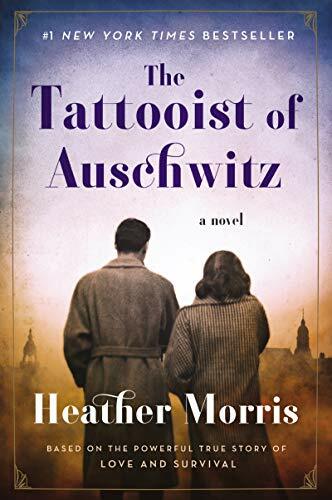 The Tattooist of Auschwitz is a work of fiction based on Lale's real life experience as told to author Heather Morris. She wrote it first as a screenplay but eventually converted it into a novel that has “movie” written all over it. With any luck at all it will one day revert to its original form and be seen on the big screen. But as a novel it works just fine largely because it is written in the third person present tense. This makes Lale's struggles seem more real, as if it's all happening right before the reader's eyes. Thankfully, Morris spares the reader many of the more horrific, gut-wrenching details of the extermination camp but not all. It is precisely such events that Lale and Gita's love must rise above if it is to flourish. The result is that they transform The Tattooist of Auschwitz from a horror story into a love story. And though there are snippets of dialogue and a particularly melodramatic scene that might work better on screen than in a novel, Morris has written a commendable and unique work that never flags and is a worthy addition to the Holocaust genre. Award-winning author Bill Gallaher's most recent book is the historical novel High Rider (Touchstone Editions, 2015). He is also a songwriter and musical performer in his native Canada and the U.S. with recordings and performances broadcast on television and radio.